The people need open spaces in Birtinya. With the population expected to increase in the tens of thousands over the next few years, parks and places of recreation are not only a key attraction for future residents of the Sunshine Coast location, but an important aspect of community life. The uniquely coloured Coastal restrooms, now in four locations, are the contribution of Landmark Products to the ongoing development of parks in the booming region. 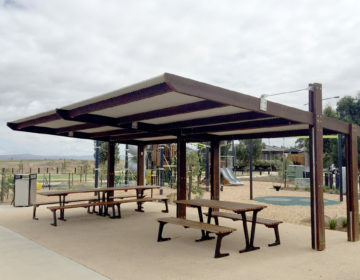 Landmark continue to work with landscape contracting company Eureka Landscapes, who have managed the overall development of the parks, including open lawns, feature gardens, interactive natural play zones, playground equipment, customised shelters, picnic and BBQ facilities and an open-air amphitheatre. 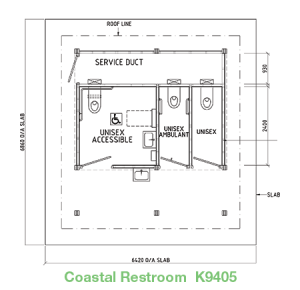 The restrooms, finished in Monument and walnut stained pine timber roof frames, all feature one unisex non-disabled cubicle, 1 unisex disabled cubicle and a unisex ambulant cubicle. With mostly timber construction and stainless steel fittings, the restrooms are suited to the seaside, high salt environment. 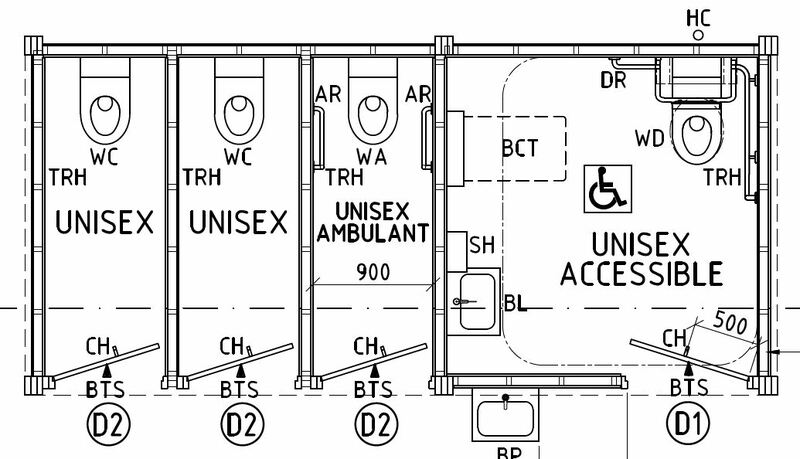 Landmark have also installed all four restrooms, which were all delivered on-site in kit-form.